Vladimir (male) has 11 years of professional experience in Aviation. He is currently working at Advanced Logistics Group - Indra, contributing as ATM & Airport Consultant in a wide variety of business and technical projects. He provides technical expertise in numerous Work Packages of SESAR program, while being Airport & ATM ALG Project Manager with clients such as Eurocontrol, GSA, Civil Aviation Authorities and Airport Operators around the globe. 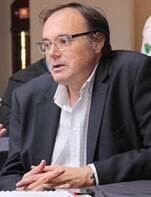 On top of that, Vladimir works as associated professor at Polytechnic University of Catalonia. Vladimir has managed ALG contribution in SESAR1 Work Package C which relates to Standardization, Master Plan updates and Deployment and Performance of Single European Sky (SES) policies. He has acted as the Ground Manufacturing Industry representative in the frame of the Master Plan Group managing the update of the strategic ATM plan for the European Commission. 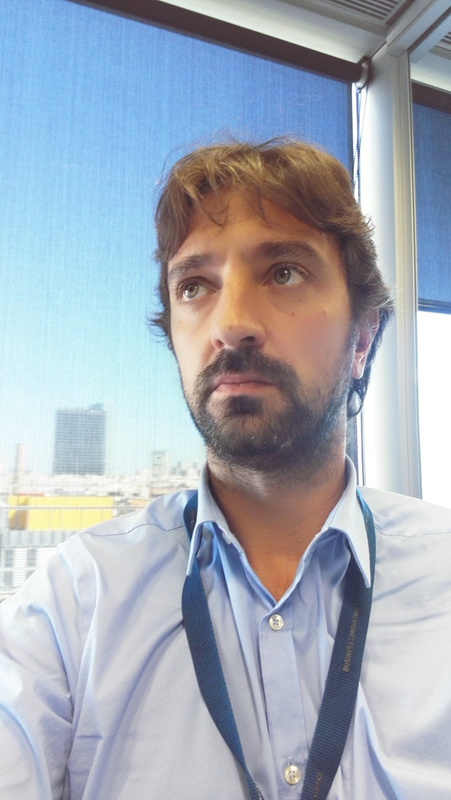 As part of SESAR program, Vladimir has also worked in Work Package 16 for the coordination of the so called Transversal Areas (Safety, Security, Environment, Human Performance and Business Case) in Human Performance and Cost-Benefit Analysis areas. In the technical area, Vladimir participates in WP 6 and WP 12 that deal with Airport Operations and Technical Systems, ranging from A-SMGCS to Airport Operations Plan (AOP) and Airport Performance Assessment System (APAS). Vladimir has previously worked as Aerodynamics Engineer for AIRBUS, as Information Technology Engineer and Architect for IBM and as Ground Operations Coordinator for IBERIA. He holds an MsC in Telecommunications Engineering as well as a BsC and an MsC in Aeronautics and Aerospace Engineering with focus in Air Navigation. Mr. Joan Rojas (male) is Aeronautical Engineer, MSc. Airports and MBA. Joan has more than 27 years of professional experience, including 23 years providing advisory services in the aviation sector. He has worked for all the stakeholders in the value chain of aviation: regulator or civil aviation authorities, airport operators, air navigation service providers, airlines, investment groups and financial institutions. Joan is a recognized expert in providing advisory services for airport developments and airport planning strategies, having participated in numerous airport development plan processes at all different stages- greenfield airports, important airport transaction or large airport expansion programs. Joan is very familiar with the requirements of SARP-OPS of ICAO. He has extensive experience in airport projects, green field operations, aerodromes, regional o large-airport operations. He has a broad experience at international level: Argentina, Colombia, Peru, Mexico, Brazil, Belize, Ecuador, Honduras, Morocco, France, United Kingdom, Belgium, Romania, Italia, Mozambique, Costa Rica, Hungary, Philippines. He was key staff (between 1999 and 2004) in Barcelona Airport Expansion: > 3.000 MM€ of airport investment. Joan has acquired skills in Project Management, Design Management, Airport Infrastructure Planning, Business Planning; Financial Analysis, Economic Analysis, Transactions Advice for Privatization and Acquisition of airports, Aviation Policy and Regulatory advice. Andrada (female) currently holds the position of Aviation Consultant in the consultancy company Advanced Logistics Group (ALG). She holds more than 3 years of experience in the fields of performance related to ATM and airspace/aviation industry. During her internship at ALG, she focused on ATM and ATM performance assessment and modelling, being the principal investigator in the "Study on ATM performance model" project. She analysed the situation of the ATM performance in Europe and was involved in the definition and development of the performance model and influence diagrams. She has been involved in a European founded project "INTERACTION", which aims to propose new procedures, technologies and tools for enhancing time-efficient turnaround airport operations. Additionally, Andrada has been involved in SESAR WP16 tasks, particularly in the cost assessment exercises, and in BULATSA project studying the performance of air navigation services at terminal level. Currently, she is participating in SESAR 06.03.01 Turn-round predictability project in the analysis of the current turn-round performance and in the Key Performance Indicators (KPI) for airport ground performance, and also in User Driven Prioritisation Process project in which she has been assuming gradually project’s management responsibilities. Andrada has a Master Degree in Aerospace Engineering from Polytechnic University of Catalonia (Barcelona, Spain). Her Final Project was developed in the context of ALG's project "Study on an ATM performance model" and was qualified with honours by the dissertation committee. 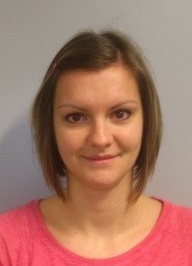 Georgina (female) has more than two years of professional experience as ATM & Airports consultant. She is currently working at Advanced Logistics Group in a wide variety of business, operational and technical projects. She has taken part in the ALG’s contribution to SESAR programme, by participating in the WPs which targeted to develop and refine new concepts related to airport operations. Her participation includes the contribution to develop the Technical Architecture (WP12) in accordance to the Operational concepts defined by WP6. She was also part of the team who recently succeeded in the project for the certification of the new Nacala Airport in Mozambique, including Operating, Security, Safety and Air Navigation procedures. The project provided turn-key services for the certification and entry into operation of this International Airport, including the design of airport operations, the training and the operational testing campaign involving all airport stakeholders. She complements the operational activities with development of flight procedures design in airports such as Nacala International Airport (Mozambique), El Dorado (Bogotá), La Seu d’Urgell (Spain), Mainz (Germany), Mannheim (Germany) and Sion (Switzerland). Georgina has a Bachelor Degree in Aerospace Technologies Engineering from the Polytechnic University of Catalonia (Barcelona, Spain). Her Final Project was developed in the context of ALG's “Project of development of an automated tool for the design of obstacle limitation surfaces and navigation procedures at the airport” and was qualified with honours by the dissertation committee. She is fluent in more than five languages and holds a certificate for advanced PBN procedures design by the Air Navigation Institute of Switzerland. 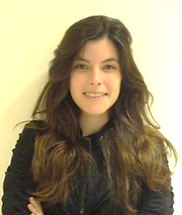 Maria Inês (female) is an Aerospace Engineer with two years of professional experience in aviation. She is currently working at Advanced Logistics Group (ALG), where she holds the position of consulting analyst in the Air Traffic Management and Airport fields. Maria Inês has been involved in a range of SESAR R&D activities concerning pre-operational validation of airport planning applications, assessing the airport’s ability to be integrated into the ATM environment. She has additionally participated in FP7 INTERACTION project, where she was actively involved in the validation activities, business case and cost-benefit analysis of over 15 innovative solutions related to aircraft turnaround activities. Maria Inês has since continued to attain experience in model development and operational improvements related to the ATM and airport industry. 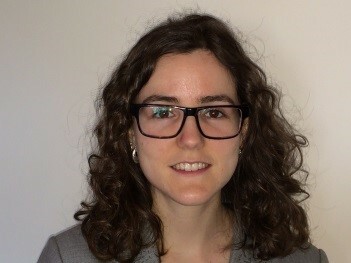 Prior to ALG, Maria Inês worked for the German Aerospace Center (Deutsches Zentrum für Luft- und Raumfahrt, DLR) as a researcher in the field of aircraft structural integrity. She holds a BSc and Master’s degree in Aerospace Engineering, completing her studies at Instituto Superior Técnico (University of Lisbon, Portugal) and at the Delft University of Technology (TU Delft, the Netherlands).